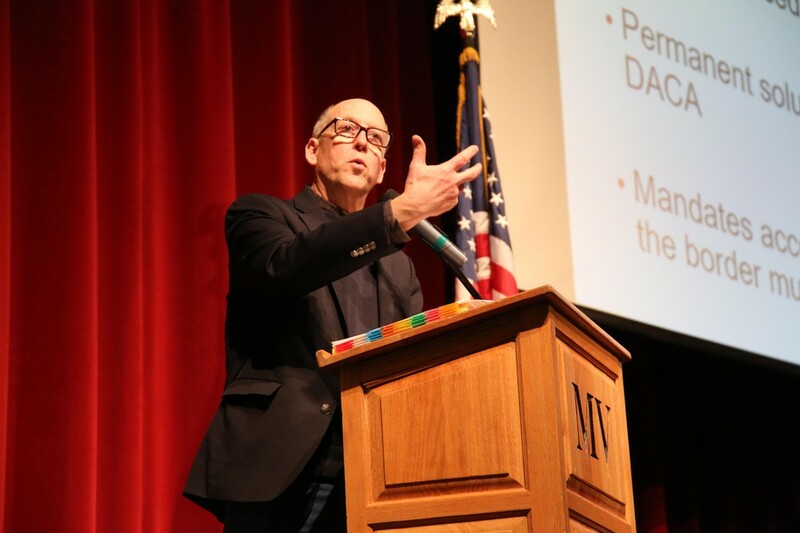 When Oregon Republican Congressman Greg Walden went to Bend, Oregon recently for his first town hall meeting there in two years he came armed with what he must have thought were two sure fire applause lines. Walden, in Congress since 1998, was left to say: “OK, let’s try and be respectful.” The old, sure fire GOP applause line of “every tax cut is good for you” may finally have reached its sell by date. 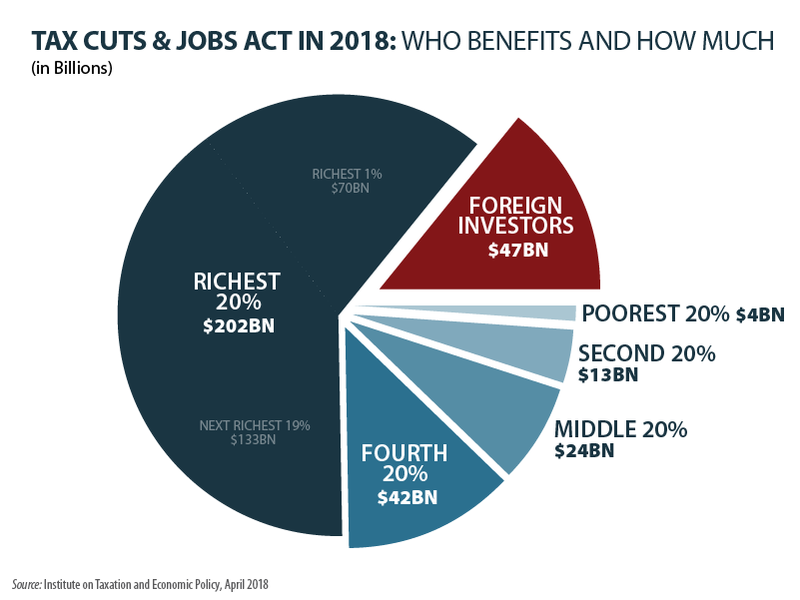 It just doesn’t seem to be working for Republicans in part because they have handed huge windfalls – again – to the super wealthy and big corporations, windfalls that have directly contributed to skyrocketing deficits and deepened worry about the strength of the economy. Meanwhile, the deficit grows and, no, the tax cuts don’t pay for themselves. The Congressional Budget Office (CBO) estimates a $900 billion deficit this year, growing soon to $1 trillion and reaching that number faster than CBO had been predicting. It is a complicated and at times very cynical story about how cutting taxes, particularly for the most wealthy, became a bedrock principle of Republican politics. Republicans have beaten Democrats over the head with “tax and spend” labels at least since the 1970s, but it wasn’t always so. Dwight Eisenhower actually believed in rather than just talked about balancing budgets and he insisted that the government had to have the revenue to keep the public books in the black. More recently rank and file Republicans – the Idaho delegation comes to mind – has mastered the political jujitsu of advocating huge tax cuts for those at the top of the economy, while preaching the need for balancing the budget. And now that the GOP has a president who seems to care less about fiscal responsibility and has lost control of one house of Congress Republicans are against talking about balanced budget amendments. One reason the old tax cut then deficit handwringing game has worked so well for Republicans is that the tax code is complicated, indeed downright eye glazing to many. It’s even difficult for many CPAs to navigate the exemptions and loopholes, but the simple language of cutting taxes is easily understood, except perhaps when the fuzzy logic and dodgy math finally loses its political power. Before last November’s mid-term election Republicans knew from their own polling that they had lost the messaging battle over their tax cut. Bloomberg News obtained internal GOP survey results that confirmed – by a 2-to-1 margin — 61 percent to 30 percent — that voters saw through the hype and knew that “large corporations and rich Americans” benefited over “middle class families.” That explains why Greg Walden got hooted down at his town hall recently and why you no longer hear Mike Crapo, Jim Risch or Simpson say much about the “signature” accomplishment of the first two years of the Trump Administration. More and more the tax debate in American politics is going to be shaped by fundamental issues that voters do seem to understand. Economic policy, including repeated tax cutting for the very wealthy, has for the last generation contributed to a hollowing out of the middle class, a flat lining of income growth, creating vast and growing disparity in wealth and stifling opportunity. In another recent survey a sizeable majority of Americans now say that “unfairness in the economic system that favors the wealthy” is a bigger problem than “over-regulation of the free market that interferes with growth and prosperity” Among young Americans that belief is even more surely held. Ironically, by embracing a candidate who refused to release his own tax returns and gleefully oversold his tax cut, Republicans may have finally lost the political advantage they’ve held on tax issues since the Reagan years. It was quite a con while it lasted.